Today’s teenagers have no shortage of influencers; celebrities, media, parents, technology, and a host of others vie for the attention of adolescents. But don’t forget about “friends” as a major player, too. After all, peers impact so much about our kids’ lives. Good Friends = Good Health? No one doubts the significance a friend has on a teen. 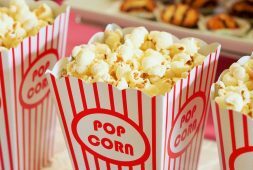 From “what movie should we see?” to “what do you want to do this weekend?” to “who should I date?” friends enjoy the esteemed prerogative of weighing in on some of teenagers’ biggest questions. And speaking of “weighing in,” a teenager’s friends might even shape his/her overall health according to one recent study. New research is showing that teens who have friends and are socially inclined are healthier than their peers who are not as socially active. The full report, generated by the Proceedings of the National Academy of Sciences (PNAS), took into account the lifestyles and health statuses of more than 14,000 Americans of various ages. They compared the number of relationships as well as the kind of relationships (romantic, family, friends, etc.) to physical and physiological markers such as blood pressure, fat content, body mass index, inflammation, and more. 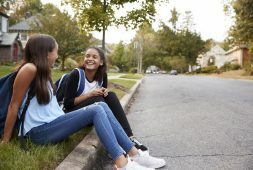 In light of these findings, experts aren’t willing to say “fat teens just need friends”; there are still too many parallels between social connections and general health that remain unclear. But what is clear to researchers is that teens who have good friends benefit from those relationships, and teens without them seem to struggle because of it. Unfortunately, many teens unknowingly weaken their friendships through another popular influencer on their lives: social media. The darker sides of social media sites like Facebook and Twitter have long been known; too often, they allow things like cyber-bullying, compare-idous, and wasted time to creep into teens’ lives. But one of the more subtle complications social media may bring into kids’ lives is weakened friendships. Though it’s not based on “research” as much as “experience,” Lindsay Williams’ terrific article entitled “Six Ways Social Media is Ruining Our Friendships” nonetheless outlines several ways healthy friendships are jeopardized by unhealthy uses of social media. I strongly suggest that you take four minutes and read what she has to say. Among other things, she says (#1) social media creates a false sense of intimacy and (#5) it makes us good at storytelling but not storyliving. The other four symptoms are just as insightful as these…. But social media’s destructive impact might not be limited to teens’ friendships. It might also negatively impact their health, as well. Not long ago, Slate put forth the idea that Instagram may be depression inducing. Among other problems cited, Instagram was singled out because of how the platform is most often used. “Instagram is exclusively image-driven,” which has a tendency to lead to self-promotion and/or an inferiority complex. The article also accuses Instagram of messing with users’ sense of time. From viewing friends’ pics, to snapping our own, to filtering them, to posting them, to promoting them, and so on, it’s easy to get consumed by the task of getting “likes.” And yet, Instagram continues to grow – to the tune of 70 million photos per day! “Walking with a friend in the dark is better than walking alone in the light,” said Helen Keller. She was right. As parents and youth workers, we have the opportunity to show teenagers the importance of choosing great friends, keeping great friends, and being a great friend to others. 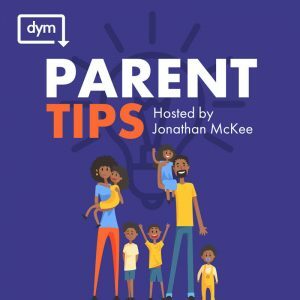 Helping them manage those often turbulent relationships in the highly emotional season known as adolescence will require constant involvement, but that investment will yield tremendous rewards. Here are two simple ideas to help your teens have great friends. Show your teenager how to pick godly friends. The Bible has many references to loving and caring friendships, and without a doubt, one of the greatest examples of friendship can be found in 1 Samuel 18-20. In these three chapters, we see just how much David and Jonathan cared for one another. Of course, the greatest Friend of all was revealed in Jesus. In John 15:13, He said, “Greater love has no one than this, that he lay down his life for his friends.” Unlike the world’s definition of a friend “someone who is there for you,” “someone who will listen to you,” or “someone who helps you,” it seems as though Jesus flips the script and says, “A friend is someone YOU are willing to make sacrifices for.” Study a few friendships in the Bible and help your teen understand the qualities they should look for in a friend. Monitor the influence your child’s friends have on him/her. Great friends exert influence on our teens…but so do bad friends. As adults, most of us can honestly think back and remember that friend (or two) that routinely led us into trouble. Let’s not allow the same thing to happen to our kids. Ask your teenager to make a list of the qualities they want in their friends, then, one by one, have your teenager lay that template over their current friends to see how they stack up. Then, to be fair, have him or her lay that template over themselves to see how they stack up! This could possibly lead to long conversations – which is a good thing! – so be prepared with lots of questions and be willing to listen with compassion. Finally, don’t be afraid to intervene and call a bad friend a bad friend. Sometimes, you just have to exercise your veto power. In those (hopefully) rare cases, be ready to calmly explain your rationale. Great friends can literally last a lifetime. 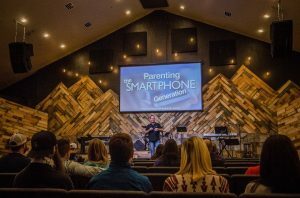 Helping your teenager forge these kinds of relationships is one of the most important roles parents and youth workers can fill. Seize every opportunity you can to make this a reality.